While tracking standards-based progress is critical for student success, ESE educators also need additional tracking of IEP goals. 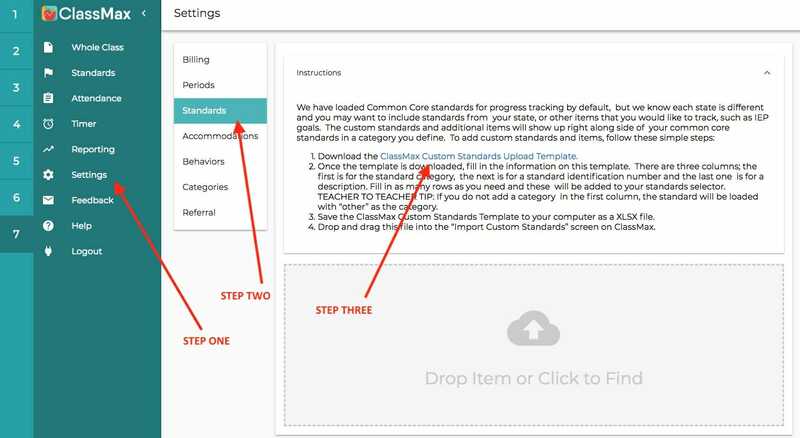 ClassMax makes loading IEP goals simple and easy with our Standards Upload Template. Load your IEP goals and begin tracking right away. Three simple steps to more accurate, quantitative student data. Are you carrying around a giant binder to track all your information? Ditch the binder and let ClassMax do the heavy lifting for you. Easy tracking of accommodations, behavior, and progress allows you to spend more time with students and less time with paperwork. When you work with exceptional students, you need an exceptional tool. Ditch the binder, teacher friend! Let ClassMax organize your data with simple, efficient input, allowing you more time with your students and less time inputting data.